"I highly recommend her. She's amazing and has preformed a miracle in my life." "Overall treatment and care was excellent, she make me very comfortable." "Had an amazing experience with Dr. Agosto." With many years of experience under her belt, Dr. Eneida Agosto is a well-established rheumatologist and wellness expert in New York City. She cares for patients at Heights Rheumatology and Esthetics located in Washington Heights, Manhattan and in Jackson Heights, Queens. 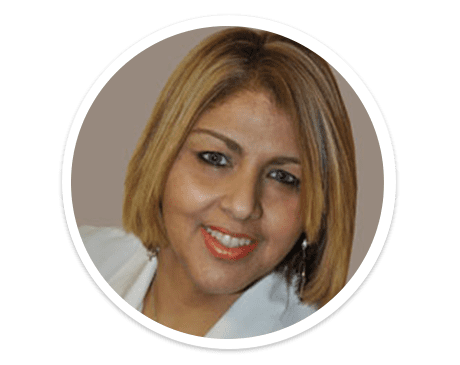 Dr. Agosto earned her Medical Doctor degree in Puerto Rico and then moved to New York City were she when on to complete a Rheumatology subspecialty at Columbia/Cornell Medical Center/New York Presbyterian Hospital. To further expands her knowledge and expertise, Dr. Agosto also opted to go through a series of trainings and certificates in Aesthetics that includes ICON/IPL lasers, Botox, Dermal fillers and Platelet Rich Plasma (PRP). While Dr. Agosto is a go-to practitioner for arthritis and chronic pain like Fibromyalgia, Rheumatoid Arthritis, and many others she also has extensive experience in overall wellness and aesthetics. She wants her patients to look as good as they feel and strives to offer advanced noninvasive skin care and anti-aging solutions, including laser treatments. Dr. Agosto is fluent in both English and Spanish, which allows her to communicate with patients who may otherwise struggle with language barriers. She’s currently accepting new patients and welcomes them to either of her medical offices. "Had an amazing experience with Dr. Agosto. She made me feel like I was one of her family members."